In my book tracing the origins of the word, Mohajir, I wrote, “the word Mohajir (capital M) is vaguely traced to the 1970s and 80s, when the persecution of people of Indian ancestry gained momentum. It simply stated, when the Punjabis started calling them “HindustaaNRaan”, and the Pathans and Sindhis labelled them as “Panah Guzeer” and “Makars”, the immigrants started calling themselves “Mohajirs”, since they cannot really relate with the other four ethnicities. Now, the word with the capital M has come to symbolise, correctly or incorrectly, all people who came from minority provinces of India or are the descendants of those immigrants. For me however the word “Mohajir” is not an honorific title or something to complain about – it’s simply a statement of being from somewhere else. In fact, “Ansaar” is a more positive word which means “those who help” which is something similar to democratic ideals vs democratic party. Similarly when the white Americans were searching for all kinds of nomenclature for African Americans (Negros, coloured people, and worse) these African Americans chose to call themselves “Black” Americans. But there’s a serious identity crisis within the Mohajir community be it a general in the army or a ‘babu’ at the foreign office, or a butcher in Orangi town – it’s a community in search of its roots because in all ‘practicality’ and there’s a strong feeling that the ‘Mohajirs’ had been rejected by other ethnicities in Pakistan. Later, Altaf Hussain, the man who is credited to have given the Mohajirs a somewhat-political identity in a book titled “Safar-e-Zindagi” published in 1989, described Mohajirs as “those who migrated from smaller provinces of undivided Hindustan to Pakistan”. The Partition was something no-one really wanted and it only became inevitable when the Congress leadership rejected the Cabinet Mission Plan after initially accepting it. Jinnah, the Quaid-e-Azam, could do no more than to console his countrymen, “We have been squeezed in as much as was possible and the latest blow that we have received is the Award of the Boundary Commission. It is an unjust, incomprehensible and even perverse Award. It may be wrong, unjust and perverse; and it may not be a judicial but a political award, but we have agreed to abide by it and it is binding upon us. As honourable people we must abide by it. It may be our misfortune but we must bear up this one more blow with fortitude, courage and hope.” Mohajirs migrated from as far as Calcutta, Malabar, Aurangabad, Amritsar, Patna and Ahmadabad and other Muslim minority provinces leaving not just “everything” but “everyone” behind. Pakistan originally envisioned by Iqbal had no Bangladesh but only consisted of what is Pakistan now. The leadership of Pakistan later made sure that Pakistan would transform from Jinnah’s Pakistan to Iqbal’s Pakistan resulting in yet another partition that ruined the ideological basis on which the first Partition took place. And that is why the 1971 setback hurt the Mohajirs. And there are warnings more such partitions are likely if the status quo does not change. 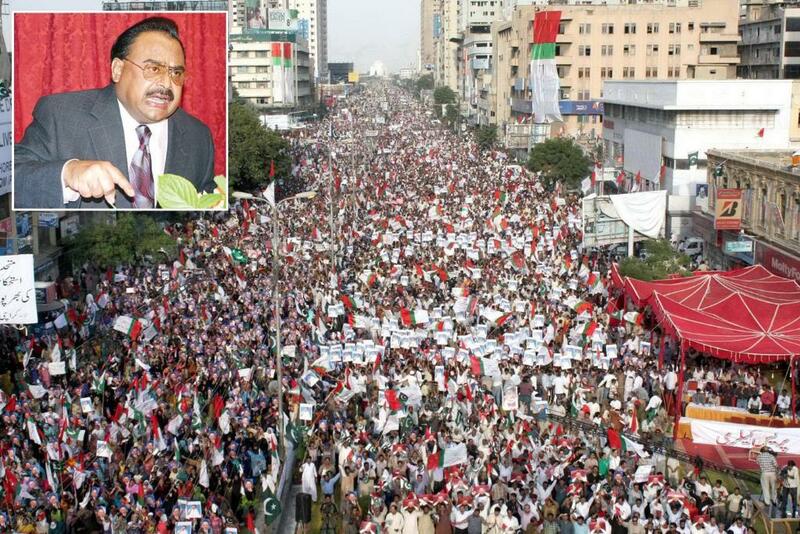 Many Mohajirs, Sindhis, the Baloch, Pathans, and even Kashmiris will reach the point of no return. Islam could not eventually become a unifying factor for East and West Pakistan. The 18th Amendment had been a good start of a new social contract which is not ground-breaking, but a start nevertheless. But to save, Pakistan we need full provincial autonomy and nothing else. We should realise the gravity of situation in Baluchistan, Pakhtunkhua and Sindh where million’s are dying of hunger and the frustration against the state is at its height. Perhaps we need to take a breather, reflect on the situation, consider all our options, and then have a polite national debate, without the use of force, riots, Rangers, or street power, to decide if and how we can live together, or if we should go our separate ways. During his rule, Zulfikar Ali Bhutto began to crush his opposition within Sindh. He started “Sindhisation” campaign and introduced the Language Bill in 1973-1974 making Sindhi language compulsory for all students in Sindh, a move which caused rioting in Sindh. During nationalisation move, Mohajirs believe only the businesses they owned were targeted. Similarly, they say the quota system deprived the deserving Mohajir the right to get into universities and jobs and hundreds of less educated and less competent people were appointed as schoolteachers. The army inspired action against Mohajirs in the 1990s led to an exodus of many talented families from Karachi/Hyderabad. Hundreds and thousands of educated boys and girls were forced to migrate. They now feel secure and have no desire to return, and that leads to the impending problem with Karachi and Pakistan in general – the loss of valuable human capital. In what was called “Operation Clean-up”, more than 15,000 Mohajirs were murdered in extra-judicial killings in Karachi alone. Women were raped and were even seen carrying the bodies of their dead male relatives. The operation also ruined the economy of Karachi. In an interesting study I carried out about Mohajir identity at various colleges and educational institutions for my upcoming book tracing the roots of Mohajir political movement and identity, 73% of adult student’s identified themselves as Mohajir first and Muslim second. This shows that Mohajir identity has evolved through the years and has transformed from being a right-wing Jamaat-e-Islami or JUI supported movement to a centrist or a left-wing ethno-political identity which surpasses religious identity. The MQM – which has now transformed into ‘Muthida’ but is in fact a Mohajir-centric party made to safeguard the rights of Mohajirs in Urban Sindh – is a clear example of this new identity. And while the word Mohajir remains controversial and often used by lower classes, the middle and upper classes in the community tend to classify themselves as “Urdu Speaking”. For them, the term Mohajir represents the “hateful past”. During my research work, I met MQM Rabbita Committee’s Kunwar Khalid Younas – one of the soft faces of MQM – who has been writing in English for years defending the MQM and coining or using terms like the “Urdu Speaking Community” or USC. But one sub-community, the Memons, do not agree, because Urdu is not their first language. So where does the Mohajir identity stand today, and has it become weaker or stronger with time? Statistics of ethnic violence show that in a very polarised Karachi, Mohajir nationalism or identity has become stronger, except in the middle class. The real issues that Pakistan faces today are poverty, illiteracy, and violation of human rights. And the people of Pakistan must realise that these are the issues political decisions should be based on. Mohajir nationalism will only weaken when the sense of equality and justice is restored in the society.